Valentino Rossi's long awaited win overshadowed by Jorge Lorenzo's epic determination. After the painful years of the failed challenge with Ducati, after a difficult return to Yamaha alongside Jorge Lorenzo, the 34 year old Valentino finally was finally back on top at the Assen TT. 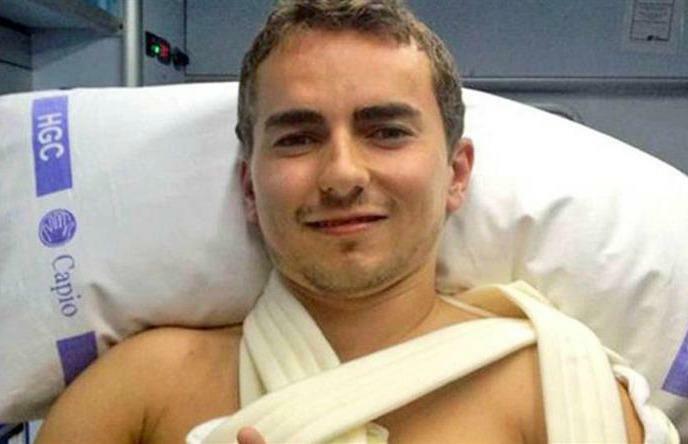 Bur Rossi's comeback win is overshadowed by Jorge Lorenzo's heroics. 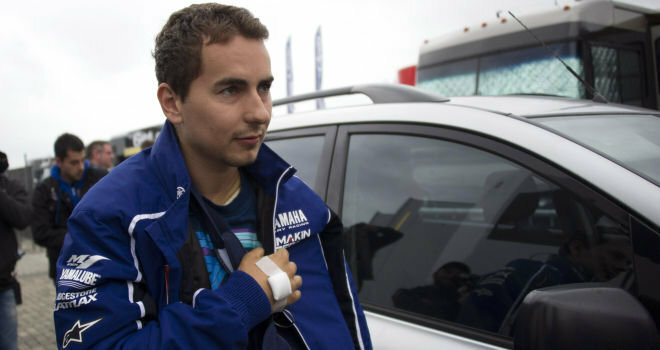 Lorenzo, who was trailing Dani Pedrosa in the Championship coming into the Dutch race, had a nasty fall on practice on Thursday braking his collarbone. He flew to Spain, was operated in the early hours of Friday and was back on a plane to Assen on Friday afternoon. Saturday morning he was given the OK to race and finished the race fifth, losing just two points to Pedrosa who finished fourth. 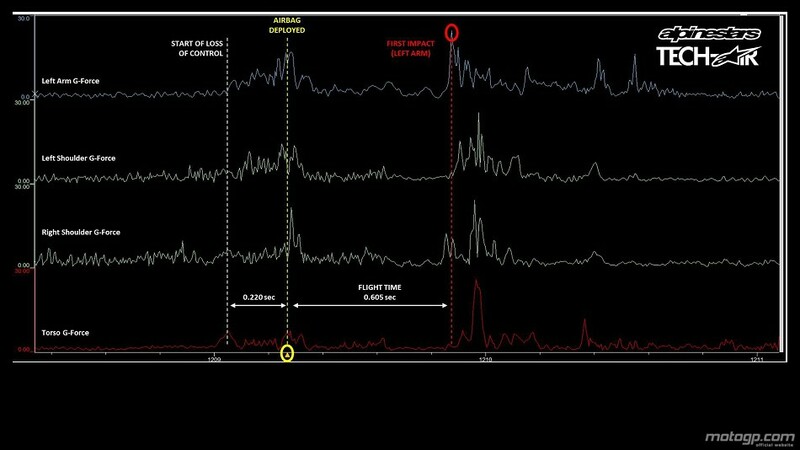 Alpinestars released data streamed from the built in accelerometers built into the airbag suit worn by Lorenzo. Observe the speed at which the safety system deploys and the..."flight time". The initial crash force is somewhere above 20g, the suit without a doubt saving the rider from more serious injuries.